Enter to win a trip to Hawaii via the Hilton Garden Inn Garden Getaway Tour Sweepstakes! Aloha! It’s still cold and dreary here in New York City (Spring? Are you coming?) so, when the kind folks at Hilton Garden Inn invited me to come and hang out with them and enter to win a trip to Hawaii, I was there. It’s no secret that our family loves to travel and the Hilton Garden Inn is a reliable, affordable, and international brand found in most urban markets. Its latest property in Hawaii is scheduled to open in Spring 2016 and the Hilton Garden Inn Garden Getaway Tour Sweepstakes may take us there! Starting today, the Garden Getaway Tour heads out across the nation with stops in New York City, Dallas, Los Angeles, and Chicago. To enter, find a Garden Getaway Greeter, snap a pic, and upload a photo with one of the Garden Getaway Greeters using the hashtags #HGIGardenGetaway and #entry to automatically be entered for the chance to win. One lucky winner will receive an all-expense paid trip (up to $4,999) to the new Hilton Garden Inn Hawaii! 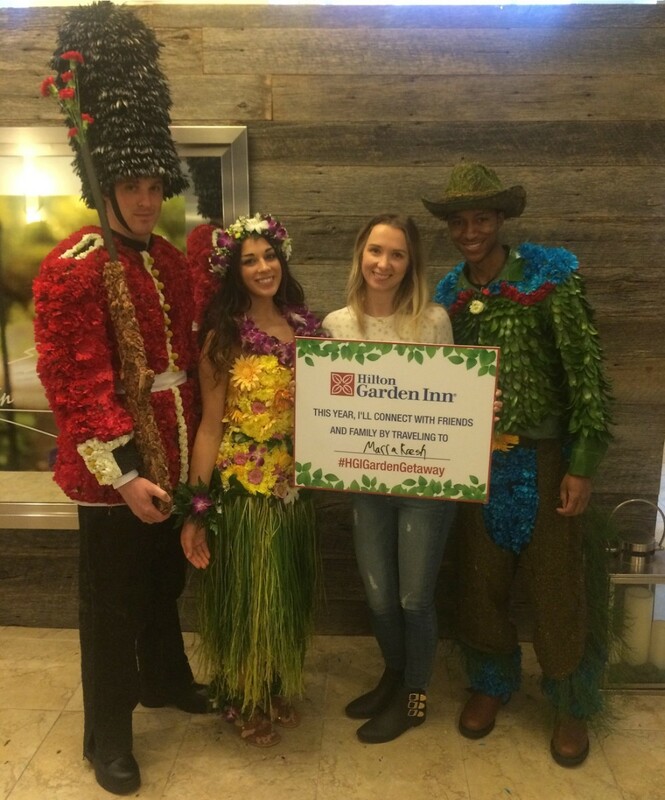 The Garden Getaway Greeters cleverly embody the garden theme of the hotel and they are fabulous! 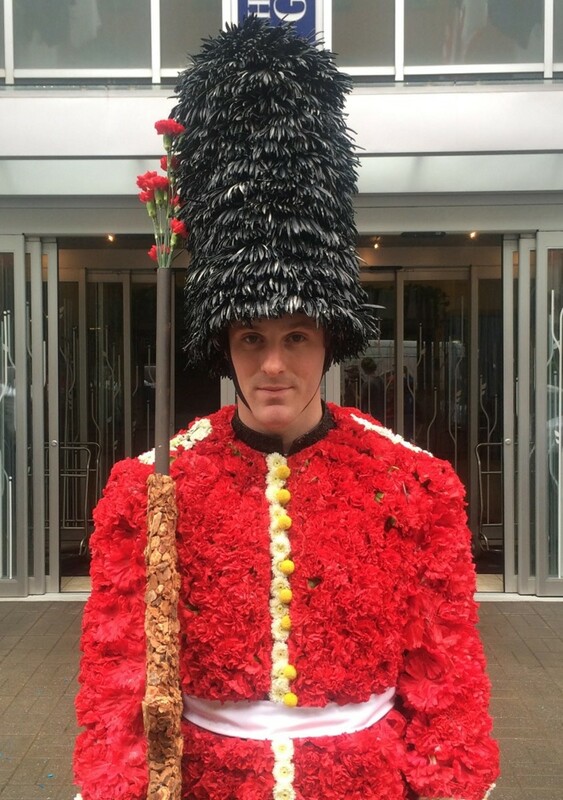 Each costume brings to life an iconic character representing different travel destinations from the Hula Dancer for Hawaii, the Queens Guard for London (my favorite), to a Cowboy for the Western States. The costumes are AMAZING! If you are into fashion and florals they are totally worth checking out. 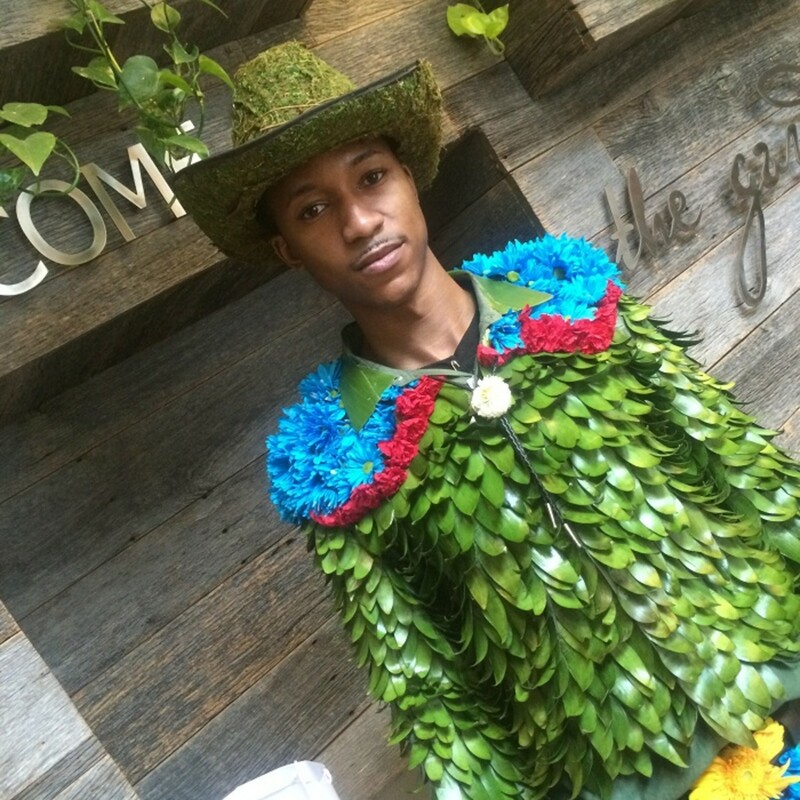 Each one is entirely fabricated out of flowers, leaves, and seeds. Visit the Official Giveaway Site for rules of entry and dates and times to meet the Garden Greeters in participating cities and follow along on Facebook for more information. Disclosure: A complimentary night stay was offered for my participation in and coverage of the event.